The bookkeeping industry is getting harder, but for the savvy bookkeeping professional, you will see this challenge as an opportunity. Whether you’re new to the profession and starting out, or have been operating a professional bookkeeping business for a number of years, I can assist you with the sustainability, growth and effectiveness of your Australian bookkeeping business. Coaching services are done mostly via Skype or phone, so you can be situated anywhere in Australia. Whilst I have been business coaching for 10 years, I am also an industry expert. I grew my own bookkeeping businesses from a garage to five locations around Australia. At the peak of my business I had over 400 clients and 25 staff. I then successfully sold those bookkeeping businesses to focus purely and entirely on my growing business coaching business. Improving your business’ bottom line whilst decreasing stress levels of the business owner. Whether you’re adding bookkeeping to your service suite or operating a standalone bookkeeping business, I can use my 30+ years of experience (plus formal qualifications) to help you. I can help you see where the industry is going – and how to get ahead of it. If outsourcing is something you want to know more about and do successfully, then again, I can help. I can also show you how to improve your service value and charge more – and clients happy to pay it. I’ve been there and done it myself; now I can help you too! Simply call me on 0411 622 666 or CLICK HERE. Ghost Writing. 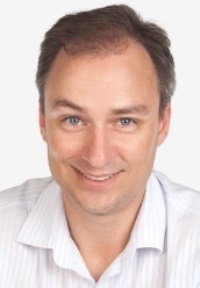 I can help with content perfect for a bookkeeping business – particularly blogs and eBooks. Upskill training. Perhaps you want to advance your skills in preparing budgets and forecasts, or other advance bookkeeping functions – just ask me. I will alert you if that is something I can help you with. This training is confidential and one on one. I also regularly run sales training workshops with small groups – suitable for any industry business. Business Sale. Thinking of selling your bookkeeping business? I’m not a business broker, but I do know a number of accounting firms which are actively looking to acquire bookkeeping businesses. We will need to chat first so that I can learn more about what you’re wanting and where your business is at. Then if suitable, I am happy to confidentially introduce you to one which is suitable to see where that may lead. I do NOT charge you a fee for this introduction. Fantastic, friendly business coaching. Donna has lots of great ideas and is very helpful. I attended a one on one Planning Day with Donna and now receive regular business coaching. I have a much better idea of how I need to go about achieving my goal of an increased income and how to put strategies and systems in place to grow my business successfully. 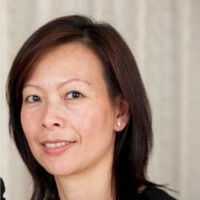 I’ve just completed Donna’s Business Writing Course in Vietnam. The course was really good and the templates were so helpful. I really enjoyed the blogs, eBooks and all the handbook writing tips. and the etiquettes on how to do things. I learnt a lot about social media and content for social media, which was great. Donna’s training and guidance has helped to set us up for the future and grow our customer base. Donna has provided valuable guidance at the time when I needed some clarity for my business. She also helped me to see opportunities instead of challenges and inspired me with lots of ideas to further develop my business. I would recommend Donna for anyone who need guidance for their business. No Stone Unturned is a must for business. We deal with a large variety of businesses and most could benefit from the tips in this book. Some tips are obvious, but frequently forgotten. Others are complete gems even I hadn’t thought of. Quick, easy, bite sized tips are now collated in a single, easy to read book. Take one on board each day and watch things improve in your business. For more testimonials, also go to the bottom of the home page or Google. 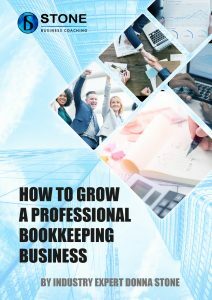 Want to get the ebook “How to Grow a Professional Bookkeeping Business“? Email donna@donna-stone.com.au for a complimentary copy now.